Providing you the best range of rockshield construction net, safety construction net, civil construction nets, geo grid nets and construction net with effective & timely delivery. Rockshield Construction Net is a new thick pipeline protection mesh manufactured for protecting pipeline coatings from rock backf ills. Rockshield offers high compression strength and resistance to destructive forces, both during and after the back fill operations. Rockshield is essential for projects where pipelines will be constructed in rocky terrain. Rockshield pipeline protection mesh is a three dimensional bi-planar extruded diamond structured mesh manufactured from high-density polyethylene. 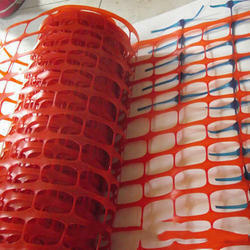 The plastic mesh offers a consistent thickness throughout the width of each roll or pad to provide full width protection to the pipeline during back fill operations minimizing holidays (pipeline coating damage) that can cause corrosion. Rockshield rock guard mesh offers protection from abrasive objects after installation, prohibiting geologic movements from damaging your pipeline. 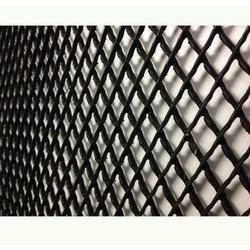 We are offering Safety Construction Net. Civil Construction Nets offered by us are manufactured in accordance with international quality standards using superior quality raw material. It provides complete reinforcement to the sub-base of the road, facilitates construction of embankments over soft soil and helps in construction of water front structures. With the help of these civil construction nets the slopes are protected against land slide and erosion. 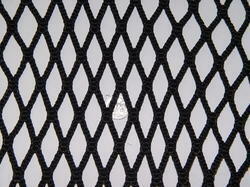 We are engaged in offering a range of Geo Grid Nets that are precision manufactured using polypropylene. The process of fabrication includes heating, extruding, punching and longitudinal as well as transverse stretching. High in durability, dimensional accuracy and tensile strength, these nets are applicable in the soft foundation reinforcing for landfill sites, highways and make them convenient for construction. The bearing capacity of the foundation improves, preventing subsidizing and cracking. As modern, lightweight safety nets, these Construction Net are recognized for offering practical support to varied safety applications in industrial environment. As a cost effective option to use, these safety nets are suitable for use in both industrial and commercial development with advantages of faster installation and complete flexibility in application. 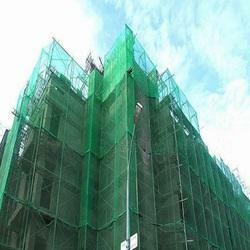 These nets are also light in weight and helps in preventing serious accidents while workers are working at a height. Here, we also ensure the nets supplied also comply with stringent regulations.